The York Residency Museum in Western Australia is creating a major exhibition for the Shire of York to commemorate the Centenary of ANZAC during 2018. As a regional partner in the Western Australian Museum’s state-wide programme ‘Walk With Us – Remembering Them’ this will be the most significant ANZAC exhibition to be shown in the Wheatbelt. The exhibition promises to be a powerful evocation of the real people of York, revealing their lives in a poignant and hard-hitting reality. 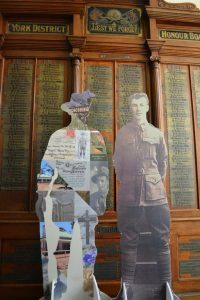 It includes an art installation of 100 life size ANZAC silhouettes in addition to a comprehensive overview of the events of WW1 and the effects on those left behind in York. Pictured here is the silhouette of Uncle Jim, Pte. 4783 James Ross Duperouzel 51st Bn. AIF. The whole family can experience this never before seen exhibition which features a comfy sofa rest area with hands-on children’s activities, a ‘cinema experience’ to show WW1 photographs never seen before as well as the chance to find out if you have a York ANZAC ancestor. 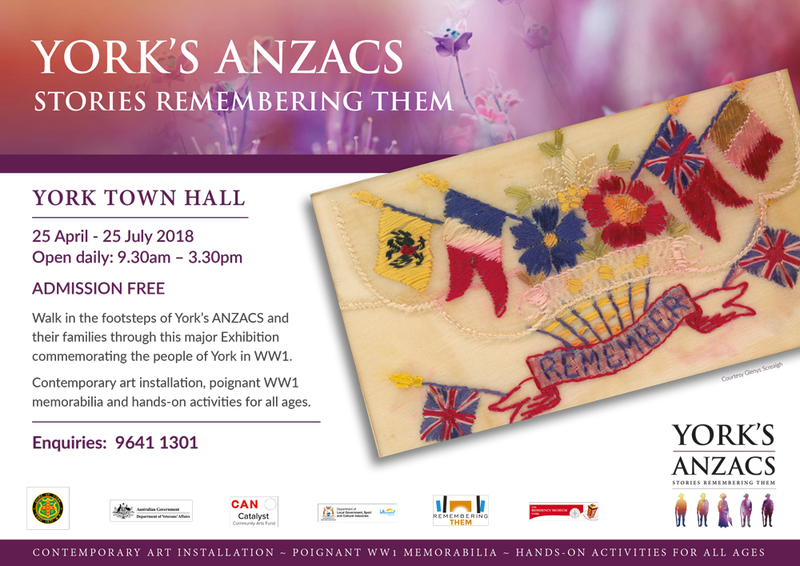 The exhibition will open in the York Town Hall on ANZAC Day and run daily until 25 July 2018 – open 09:30-15:30 (closed 12:30-13:30).